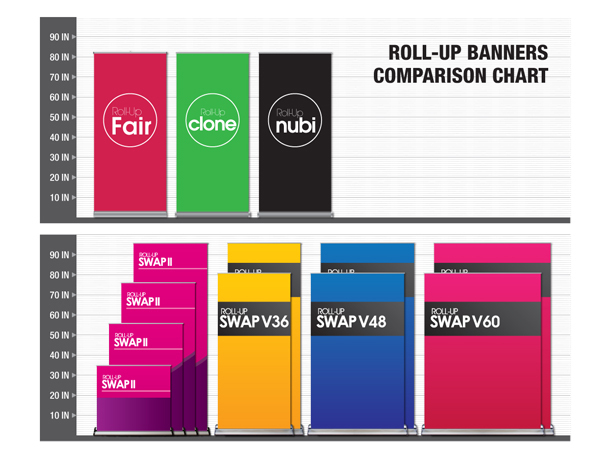 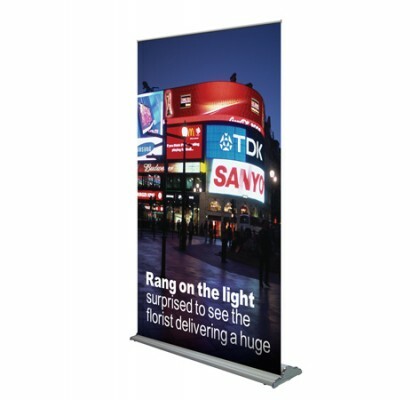 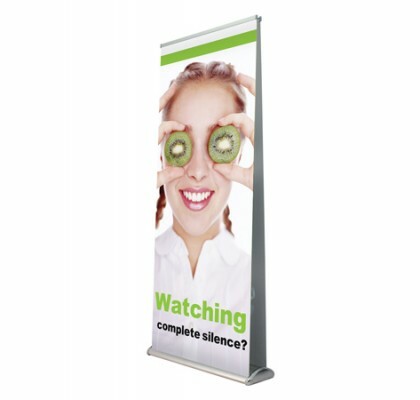 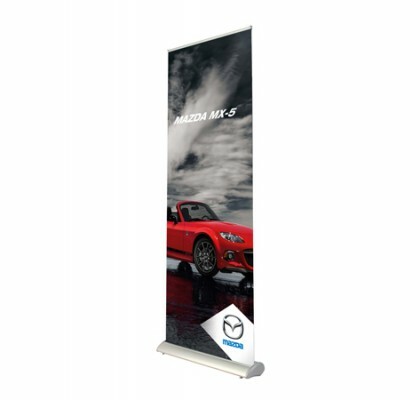 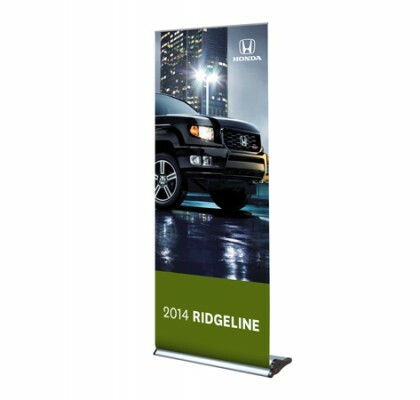 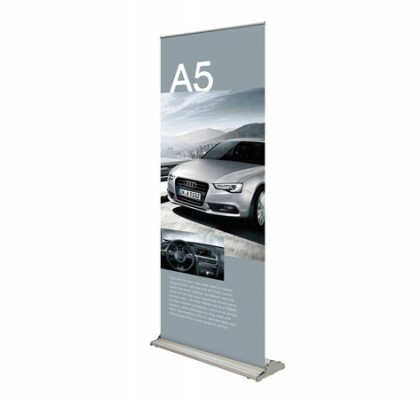 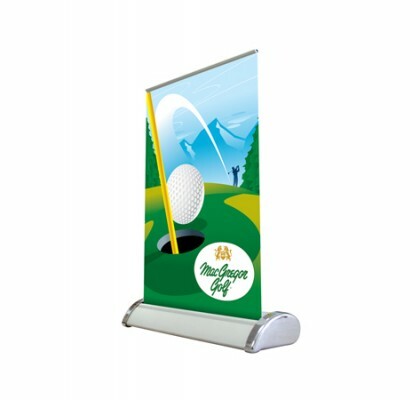 Roll up banner stands allow for the creation and presentation of a visually explosive message, at an amazing value, along with minimal set-up time. 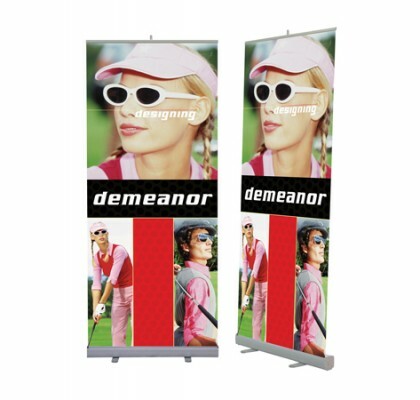 In seconds, these units can be assembled and work promote your brand. 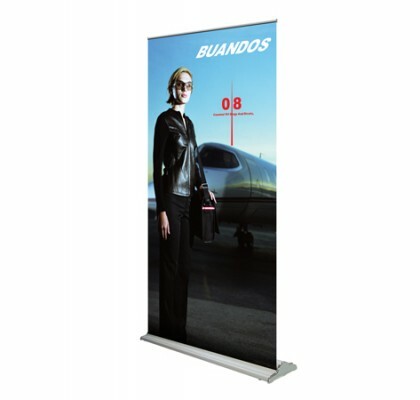 The high impact customized graphic, rolls into the stand for protection, and when ready for take down, each unit folds down neatly, into its own carry bag.